Commonly known as the Great White Trillium, this western native is a classic woodland perennial. Lovely white flowers that will mature to pink and look amazing in shady woodlands! Grandiflorum is a hard, clump-forming, Western native perennial with ovate to rounded, dark green leaves. It produces pure white flowers which often fade to pink with green septals. 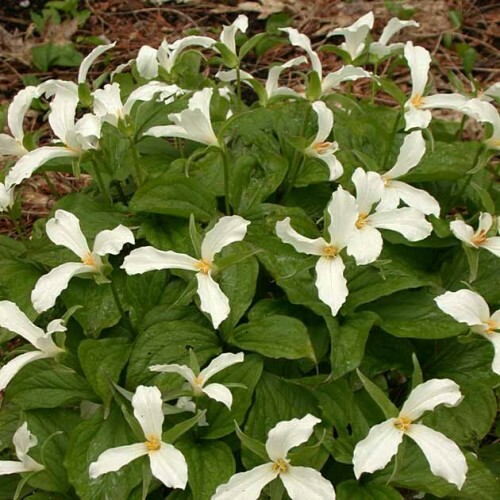 The trillium is a simple, graceful perennial that is one of the most familiar and beloved of the spring woodland wildflowers. Leaves, petals and sepals all come in groups of three, hence the name!